In the previous installment of this series, I looked at the psychological context for a hypothetical suicide run into the southern ocean. Today, I’d like to consider an equivalent issue with regard to a hijacking scenario. Presuming one occurred, what could be the motive for such an act? As has often been observed, nobody claimed credit for the disappearance of MH370, and nobody visibly benefited from it. No benefit would seem to imply no motive. Motive, however, can be a tricky thing to impute to another person’s actions. How can we be confident that we understand enough about a person’s position in the world—or more importantly, how they perceive their position in the world—to judge whether a given act would or would not be rational from their perspective? A question more likely to yield results, I would argue, is: are there any potential perpetrators who might feel motivated to take such an action, however opaque their motive might be to us? What has emerged from these reports is a strikingly concrete and layered depiction of events surrounding the destruction of MH17. And it is radically different from the picture that most journalists and analysts hold. According to Bellingcat’s research, the Buk missile launcher that destroyed MH17 was not some trophy of war that a bunch of untrained militiamen got their hands on and fired off willy-nilly. 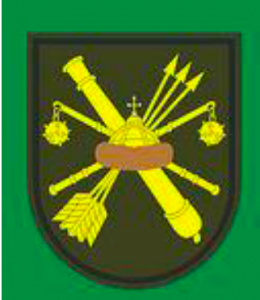 Rather, it belonged to a specific regular Russian army unit, the 2nd Battalion of the 53rd Anti-Aircraft Missile Brigade, which was sent from its base near Kursk to the Ukrainian border. From there, this specific launcher was brought across the border in the middle of the night and positioned under the scheduled flight path of MH17. After it blasted the plane out of the sky it was put back on its trailer and brought back to Russia. The whole operation was a one-day mission. Bellingcat identifies the unit’s officers, and even hones in on the individuals who likely operated the Buk in question. They stop short of speculating at who pushed the “fire” button. The report does make very clear, however, that operating a Buk requires intensive training, so whoever committed the fatal act must have had considerable experience with the system. And as might be expected with a weapon of its range and lethality, a major part of operational training is a tightly controlled firing process. Of the four man crew, only the officer in charge is authorized to make the firing decision. He, in turn, must receive the necessary order from his commanding officer. Contrary to the popular narrative, anyone who would be able to fire off a Buk blindly would know better than to do so. Some will no doubt find this conclusion incomprehensible: Why in the world would Putin order, or allow, a brutal attack which triggered such harsh repercussions against his country? What possibly could be the motive? The answer is, we don’t know Putin’s motive. Indeed the alarming upshot of MH17, and how badly the press and intelligentsia have bungled their attempts to understand it, is that we don’t understand Vladimir Putin at all. We can’t presume to guess what his cost/benefit analysis of this decision was. But based on a year’s worth of intensive reporting by Bellingcat, as well as on work released by the official Joint Investigative Team, Putin obviously felt he had reason enough. 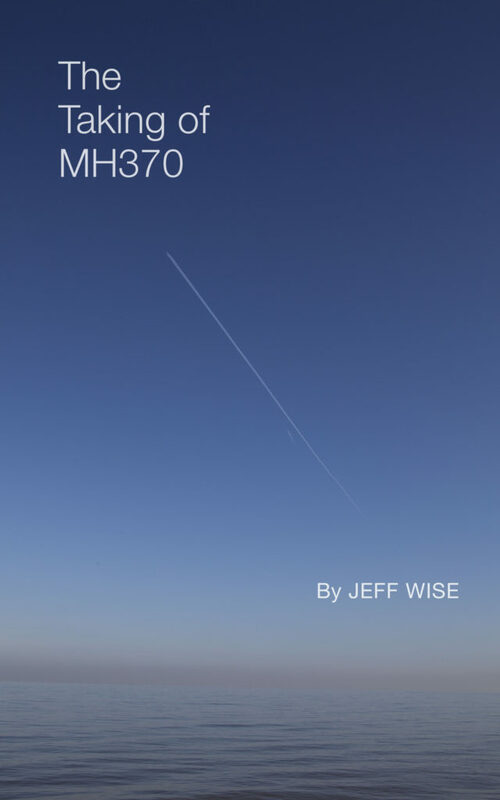 By this point I think the relevance of this story to MH370 should be clear. Within four months, two Malaysian Airlines 777s were taken out of the sky under suspicious circumstances. Imagine if you were a farmer who’s been raising chickens for many years without incident. Then one day, for the first time ever, one of the chickens goes missing. Then the next day, you see the neighbor’s dog jumping over your fence with a second chicken in its mouth. Now would you have a theory about what happened to the first chicken? We know from the analysis of MH370s satcom system carried out by Mike Exner, Victor Iannello, Gerry Soejatman and others, that if a spoof hijacking was perpetrated on MH370 then whoever carried it out possessed an extremely high level of technical sophistication. So high, in fact, that the attack must not only have been state sponsored, but sponsored by a state with cutting-edge technology in aircraft systems and satellite communications. That being the case, if we suppose that MH370 was hijacked by someone other than Russia, then that would mean that two Malaysian Airlines 777s—of which only 15 existed out of a worldwide commercial aircraft fleet of perhaps 18,000—happened to be targeted within the span of four months by two different major powers. Certainly possible. The uncontrolled flight paths I have looked at point further South – toward Oleksandr’s terminus (i.e. 25S – 28S) perhaps even as far South as SK999 at 31S. Anything North of there seems to require speed variations which would point to a conscious pilot. So as a general conclusion, I think more Northern terminal locations require controlled flight. That, in turn, raises the question of why the plane was allowed to run out of fuel. A terminus in the range of 25S to 32S is starting to look better and better to me relative to having fewer loose ends. I strongly disagree with both of you. It is not ethical not to share these images in this case. That is one of many cultural difference between two sides of Atlantic: at the eastern side it is impolite to ask about your salary; at the Western side it is impolite to ask how much you spend for your car insurance. I would agree with you only if the owner explicitly asked you to keep these images confidential; as long as this did not happen and you point origin of these images, it is not violation of copyright etc. Why not? Has Jeff asked permission of Zaharie’s son or his family to post his photo in the previous thread? I am sure Malaysia will release the flaperon analysis in the coming FI, where it will conclude that nothing certain can be concluded with regard to how it was detached (fluttering, water impact or inertia), but will keep most of the radar-related questions unanswered. I can understand reason, but you apparently can’t. Likewise I can’t understand reason why images of potential debris are kept in secret, and they were made available only to several specialists. In this regard even Malay government is more transparent. You blame Malaysia for the lack of transparency; I will blame IG for the same. If the flight was indeed controlled, how can we know who was flying it? Were the pilots the only people capable of flying the a/c, how do you know? Are we 100% sure about who was all on board if security was sloppy? If one of the pilots was flying the a/c, was he perhaps under some threat? Just some questions for those who try to “solve” the mystery by reducing the number of (apparent) possibilities. Some hijackers, who didn’t believe that fuel was insufficient (similar to the case of Ethiopian Airlines Flight 961), could be an explanation. The problem, however, is that SDU reboot, absence of ACARS, flying along FIRs, etc. – all require excellent planning in advance. Or hijackers simply forgot about fuel? My ~29S estimate was based on the assumption that a mechanically-primitive flight mode took place (specifically constant thrust settings). Simplicity, excellent fit of BTO/BFO and concistency with a number if other observations are the main things, which still keep me interested in this scenario. The same news about a piece found in Mozambique is avaliable now at CNN website. But no photographs. Blaine has given me permission to publish some pictures as well and I’m working on a story about it, so watch this space! So Blaine conducted some experiment to see whether this debris could float… It is good to know it can, and we even can see what area is exposed. On the negative side, by doing these experiments Blaine could interfere with forensic analysis awaiting for this debris. Correction : Mozambique, not Madagascar. Can you kindly provide the link to your latest review of drift studies report? It seems CSIRO catches all the 3 locations in question. Sinux – safer yes, I get that bit, but when I suggested ages ago that mimicking ID’s would be easy enough I was told to shut up. Going all the way with a full set of believable numbers would be another level? But I can never get my head around “impossible.” It’s impossible in a civilian sense but you can do anything with a budget. Whatever the eventual determination on the debris, this Mozambique discovery certainly seems well-timed to swamp and drown out coverage and critique of the forthcoming 2nd anniversary report. Not a chance. I will be poring over the next FI as will most people here. It will be the most scrutinized document of 2016. I was referring to mainstream media coverage and not analysis and comment coming from various internet outposts. Yes, you could be right about that. The media is what it is. I agree that possible motives like political statement/disgruntled employee do not match a suicide scenario – way too extreme. Here are my thoughts on flight route reconstruction if it was a botched hijacking: The current approach to the search could be flawed by the presumption that the ghost flight scenario commenced just at the southern turn. Rather it may have commenced any time thereafter but before the missed landing approach (possibly on CI). The flight route until 18:22 is consistent with someone feeling reasonably comfortable in Malaysian airspace (overflying Butterworth military base) but skirting Indonesian airspace/territory. The 18:25 reboot could indicate the onset of the resurrection scenario (someone on pprune indicated that the cockpit door cam is on the same electrical bus as the IFE). I don’t think the unanswered call at 18:40 indicates a hypoxia/uncontrolled flight scenario yet as a hijacker is unlikely to answer incoming calls either way. It is therefore possible that there were further changes in direction, altitude, speed and/or waypoints following the southern turn. I’d say the aim could well have been to fly a greater circle around Sumatra. End of flight surely is no glide/ditching. Successfully ditching in the SIO is next to impossible and glide/ditch even more so. The final BFO value indicates a steep descent. The autopilot mode could well have been standard. Not sure how this alters the flight path towards the magnetic south pole. Switching off the IFE could alter performance/endurance, too. The flaperon drift studies tend to suggest a more northerly impact point. I thought the Inmarsat publication was thoughtful and academically rigorous. It’s a shame the current search zone terminates just south of their hotspot. I too thought the Inmarsat, JON publication, was well done. I also thought the IG analytics were/are well done. The problem, of course, lies in the assumptions. I have historically been critical of the IG assumptions, but the reality is that they were/are reasonable. My heartburn was related to a lack of adequate disclosure relative to the assumptions. I have no strong opinion relative to a terminus. I remember what I felt form FI MASOPS and ATCs communication – that MAS questions for KL nad HCM ATC was there to ensure if plane was really for sure lost by them, so nobody knows nothing. The unanswered phone calls can have some information meaning too; PIC must heard that satphone ringing as its logged too? @PhilD ya, some prerelease media warm-up in progress? If both the Flaperon and this new piece are related I would suspect the impact location North of Madagascar. However there should be significantly more debris on or around the sandbar. If this piece of wreckage found near the coast of Mozambique is indeed from MH370, the MOT might delay the release of the FI 2.0 until the investigation of this piece of wreckage is done by experts. This could endure many months and we might wait up until march 2017 for new important informations. It would be also a huge setback for the lawyers of the next of kin. If this piece of wreckage is indeed from MH370 it would be a lucky day for the malaysian government and MAB (MAS) because the lawyers of the next of kin have no chance to study the FI 2.0 carefully because this important document would be in delay until the lawsuits against the malaysian government and MAB (MAS) are over. We´ll see what happens in 6 days. There was a very beautiful and moving tribute to Captain Zaharie on You Tube set to the music “Find Your Wings” from his family members, nieces, nephews, and siblings. One of them was named Dah, could that be you by chance? If so we are truly sorry and do feel your pain. That is the whole premise of this blog, to help the grieving families and to ensure the future safety of aviation in general. Most of us have toiled at this endlessly from the first day of the disappearance despite the work and life stresses in our own personal lives. We started at Duncan Steel’s site and blog and migrated here to Jeff Wise’s blog. This is a group of highly intelligent technical people, sat com people, avionics people, scientists, and others. Our goal is the same, to try to find out what happened to that flight and those 239 people on board. Yes we most certainly do feel their families pain, we haven’t stopped searching for two years and have not given up, there is a multitude of caring here. It’s a monumental task Dah, as all there is to go on is the ISAT data, the radars, the audio recording, a flaperon, and now another possible part of the plane, and the group here is just fine tooth combing everything. It even gets heated among ourselves as we try to fit motive with technical data. No one is accusing anyone as no one knows for sure what befell that flight. May God be with them and may they all rest in peace and an answer come to the grieving families soon. Dah or Duh? I have little patience for the man. Perhaps it is just me, but he insulted a respected member here, and I will not tolerate that. Cultural differences aside, he is an idiot. Frankly I agree with Dah, except that apparently he mistaken Victor with someone else. One more essential difference between the Eastern and Western cultures (in terms of Atlantic) is a general rule called “Presumption of innocence”. That is to say, if you blame someone in wrong doing, it will be your responsibility to prove it (East). This is, for instance, the root of legal problems between US and Switzerland related to “money laundering”, or debates with regard to the privacy of personal information. That brings you to a failed hijacking “camp”, doesn’t it? Why do you need Zaharie to cooperate with hijackers, when a simple gun at his or someone else’s head can be even a better explanation? This would be similar to the mentioned case of Ethiopian Airlines. hoping this means much isn’t missed , even if it isn’t revealed for a time. I think we have similar thoughts. I think it is unlikely the whole disappearence plan could have been doled out and/or executed by a single person if this was deliberate action. The reactions by ATC KL and MAS OPS are bewildering to the extent that one has to ask the question of whether they reflect some interest to not issue an alarm phase or search for the aircraft during the flight duration. According to Reuters, for example, ATC informed the military that MH370 is experiencing technical difficulties and diverting to the Malaysian peninsula while Vietnam was told it is in Cambodian airspace. Perhaps this was to prevent reactions? Did not Anwar say in an interview that he may have information ground staff was complicit in the disappearance? At any rate, the ICAO criticised it took 7 hours 21 minutes for an alarm phase to be issued following the disappearance. It concluded there was ‘not enough urgency in responding’. The Australian ABC also concluded that whoever diverted the plane would have bought invaluable time. It is likewise bewildering that no one tried to call the aircraft before submitting dubious position reports. The reboot at 18:25 needs perhaps to be seen in view of the fact that the first attempt to call the aircraft is registered no earlier than 18:40, around an hour after Vietnam reported no contact with MH370. In case there was some concerted effort to make the aircraft disappear, it is unlikely that someone was on a suicide mission. What would a pilot do if suddenly ATC tells him to divert to another airport (for whatever reason – weather / civil war just erupted in country of destination / suspected hijacker/bomb on board)? What would he do if his ops center tells him they have detected a problem and he needs to reboot some hardware? No need to have a hijacker on the plane… Social Engineering works too well when the source is trusted. We don’t know why MH370 repeated “maintaining FL350”. Could it be because they were responding to a fake ATC request? Nederland Posted March 3, 2016 at 5:07 AM: “It is likewise bewildering that no one tried to call the aircraft before submitting dubious position reports. The reboot at 18:25 needs perhaps to be seen in view of the fact that the first attempt to call the aircraft is registered no earlier than 18:40, around an hour after Vietnam reported no contact with MH370. The first attempt from MAS OCC to contact the aircraft was by means of a text message via ACARS at 18:03 with no response. It was the middle of the night, an almost deserted office building, a minimum crew manning the OCC, attending to their normal tasks. The normal duties of OCC are outlined in F.I. 1.17.2.3.1 Flight Operations, sub j) Operation Control Centre (OCC). Flight following is apparently not part of their duties. The person who answered the phone call from ATC probably never had to deal with a situation of loss of communication with an aircraft in flight. ACARS text messages would have been the normal way to contact an aircraft in flight, and using satphone would have been highly unusual. It is easy for us armchair experts with the benefit of hindsight to condemn a person who did not understand the seriousness of the situation. @Nederland yes, agree with you too; not knowing much deails about Anwars movement though, but US has good relations with Malaysia and Najib because of fight against nuclear material traficking prevention etc and interesting is that former MOT became MOD during this case. MAS has never commented on this. It is obvious that the situation is serious if a plane disapperars from radar and no contact can be established imo. I think he had been in charge of both offices well before the accident flight. It is therefore interesting to consider that one possible motivation in the political statement scenario may have been to publicly expose both the lack of response by the military and disorganisation of civil air traffic control. At the end of the day, why would someone risk overflying one or two military bases, if the plan was to cover up suicide and by all means avoid detection? They had tried twice, each time waiting until time ran out – no reply. If the Chief said that (?) how could those “people” know that? I’m going to close down comments on this post now — please visit the newest post to share your thoughts.